Technology has always evolved in order to help man find solutions and make processes more efficient. Communications have come a long way from the days of Morse code to today’s smart phones. The typewriter has become a relic while main frames are regarded as dinosaurs in the age of compact technology. Fax machines and snail mail have been rendered obsolete by e-mail. But how technology has changed health and fitness seems to have taken a different course. The idea of health and fitness itself has come a long way. It is no longer synonymous with vanity or treated simply as a pastime. With stress related illnesses on the rise coinciding with the increasing cost of health care, more people are turning to exercise as a means to get healthier and fitter. If you have been regularly exercising in the gym as far back at the 1980’s, you would note that not much has changed by way of exercise equipment. Yes, we now have anti – gravity treadmills, selector-ised dumbbells for a quick- weight change and cable motion equipment. But these have barely differentiated from products a decade ago. The reason for this is that the evolution of technology in fitness did not correspond with the evolution of training systems. In fact, today’s training systems are more aligned with basic, old school workouts that hardly require sophisticated gym equipment. Aerobics classes once popular in the 1980’s have given way to boot camp classes and core strengthening programs. These are methods that combine bodyweight movement and old school equipment such as kettlebells, bands and the medicine ball to improve natural strength, functionality and coordination. Even the innovative and highly effective TRX suspension cable systems are used to increase resistance and difficulty levels for bodyweight exercises like pushups, pull ups and squats. 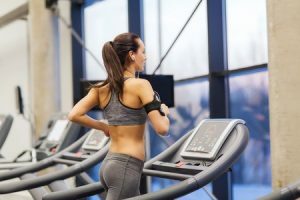 Treadmills and elliptical machines still line many cardio areas in the gym but the technology behind it have hardly changed. However, its function has shifted from steady state to interval – type training. In a strange conundrum, technology in fitness has evolved to support training programs that have gone back to basic, fundamental and traditional exercises. Thus, the effect of technology in fitness can hardly be noticed in exercise equipment. But it has clearly manifested itself in wearable technology. It can be said that the jump off point in how technology has changed health and fitness can be traced in 2007 with the introduction of FitBit. FitBit represented the new generation of fitness wearable; the fitness tracker. Its function was to record movement for the purpose of creating a baseline of its user’s degree of physical activity. By having a baseline, you have a reference point on the changes needed to improve your health and fitness lifestyle. It also coincided with the results of a study conducted by the Center for Disease Control (CDC) in Finland from 2007 to 2008 that showed taking 10,000 steps a day may prevent heart disease and Type 2 diabetes. The best thing about fitness trackers is that as a wearable, they are portable. You can wear them on your wrist, clip on your garment or keep inside your pocket. It has become the perfect companion for the Boot Camp or every day exerciser. The fitness tracker is very convenient for those who prefer exercising outdoors. Whether it is running up and down hills or doing calisthenics at the park, the fitness tracker will record your progress and give valuable feedback. People who want to start a health and fitness lifestyle now have a portable “training partner” who will inform them on their level of progress, the amount of calories consumed for the day, the quality of sleep and with some devices, correct their exercise technique. Because a fitness tracker can only be as accurate as the amount of data it is given, people who invest in one have to wear it 24/7. This alone requires dedication and encourages its wearer to be more committed to a health and fitness lifestyle. 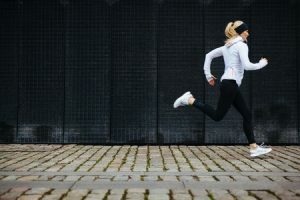 The value of fitness wearables lies in the fact that the data it collects can be used as an immediate reference so improvements on the health and fitness program can be implemented. Compatibility issues notwithstanding, data which are presented via well – made graphics and other pertinent information can be accessed through your desktop, smart phone and any other mobile device. As more people become reliant on mobile technology, expect the importance of technology in fitness to grow over the next few years. In 2014, mobile devices officially became the dominant avenue for online traffic; replacing the desktop. IT industry analysts expect the number of smart phones to hit 6.1 Billion units by 2020. Interestingly, sales of fitness wearables are projected to grow from 25 million units in 2015 to 45 million units in 2017. Based on the convergence of this data, it seems that fitness wearables will continue to have an influence on health and fitness in the years ahead. The good news is we can assume more people will strive to become healthier and fitter as the world continues to address issues on stress – related illnesses and global obesity. Mountain Biking For Fitness, Fun And Adventure!